When I first started counseling people, many people were asking for help living their life purpose, healing their relationships, and manifesting the life they desired. These are three main topics that people have in life. Being successful at living our life purpose, having great relationships and manifesting even the most basic necessities can all seem like a big mystery. We don’t wish to manifest our heart’s desire only to have it slip through our fingers. We’d like to have the consciousness to hold on to it! Everything in our life is a demonstration of our beliefs. Many times beliefs are hidden, and even though we believe life is abundant, we’re not experiencing it. We can believe that God is Love, but we’re not experiencing it. This can be intensely frustrating. We feel like a failure, and we know that’s not helpful. We label “not spiritual” and it makes us feel like a fake, adding insult to injury. It doesn’t have to stay that way. If your answer is ONE or ALL of the Above, then I’d like to share with you an event I’m participating in that’s completely free. Join me speaking with my colleague, Melissa Lilly Nelson, on New Three University’s Manifesting, Life Purpose and Relationships online event. This is my second time doing an event with Melissa, and it may call to you where you are right now. I agree with Melissa when she shares that “manifesting an abundant life purpose and Supportive Relationships is our birthright!.” It’s our nature to be in the flow of Love, Abundance, Wisdom, and to live our true purpose. You’re Invited, Click Here to Join Us. This event is not overwhelming, because the interviews are only 20 minutes each, give great advice, and it’s a small group of teachers so you won’t get a ton of e-mails. And, you can always unsubscribe when you feel complete, but it’s definitely worth giving each person a listen. Enjoy! Have you noticed that there’s been some super intense energy in the last few days? I noticed it most intensely Monday and Tuesday morning. This often happens around the time of the full moon! The moon just went full last night and that usually helps bring some relief. Full moon is a time of healing through releasing what no longer serves. Full moon is also a time of harvest – harvesting the wisdom from our experiences and then releasing any and all attachments – that’s what a full moon healing ceremony is for! What a time of healing this is! Let’s call forth an amazing healing and release all blocks to Love! Many believe that extraordinary spiritual growth and expansion are impossible. I used to feel that way. The growth I desired felt so elusive. I just concluded that it was because there was something wrong with me that made it impossible for me. What’s so cool is that even though I believed it couldn’t work for me, I was willing to shift. My willingness has brought tremendous healing. So many of the people who begin the year in Masterful Living feel that the healing, expansion and life they desire is not possible for them. They have doubt that what they desire could ever be theirs. At the end of every year, I talk with folks who, at the beginning of the year, were unbelievers – but not anymore! It’s because of hearing people’s stories of what changed for them in our Masterful Living community. Imagine starting the year feeling that this is the year you’re going to file for divorce. It’s clear, the writing is on the wall in every room of your house. You and your spouse just aren’t compatible and there’s nothing you can do about it – you’ve tried everything you can think of. But then, you decided to really live a simple spiritual practice. You decided to give the relationship to the Higher Holy Spirit Self for healing and you made the effort to leave it on the altar and begin to hold the vision for a holy relationship. And your relationship began to improve and heal and become something really beautiful. I see it happen every year to many people in our community. Year after year, I hear the beautiful and truly profound stories of people making the mental shifts that heal their life and relationships. And the healing happens even though they don’t believe. When we experience these kinds of healing, then we’re changed forever. I invite you to really go for it this coming year – focus on your willingness! Cultivate a willingness to learn that the miracles will happen for you when you’re willing to practice and give Spirit a chance. I have collected so many beautiful stories. Each one is a precious jewel. It does take willingness. And that’s what spiritual community helps with. Together, we hold the light for each other so we don’t give up. One time I spoke with someone who had decided to give up and drop out of class. She was so sure it couldn’t work for her that she was all set to withdraw. And then she talked with someone in the community about it and changed her mind. And now, she’s helping others to not give up, because where she was once constantly worried, she’s found peace. And she’s so grateful now she’s inspired to help others in achieving their goals with their spiritual practice. She was CONVINCED it couldn’t work for her, but it did. We replace the old thought with the new thought and we’re on our way to a new experience of Peace and Harmony! It’s easier than you think to change everything in your mind and your life, if you’re willing. Also – if you’re willing, come away with me for your healing! Early bird special on NOW Spring Clearing Retreat March 20 to 24 – with Lisa Natoli, Corinne Zupko, Jon Mundy, myself and more! Plus, Jon Mundy and I are offering our Leading & Creating A Workshop training which includes certification to lead my Forgive & Be Free Workshop! March 14 to 20. Register for both and receive an additional discount. Click now for details! There are many who are challenged with conversations right now because either they are upset and hurting or the people around them are upset and hurting. So much is getting stirred up right now that people are frightened and angry and taking it out on each other. What does that mean? It means our one responsibility in our entire life is to accept that this world as an illusion and a projection and everything that we think we hate is a projection of self-hatred. Every upset is really self-upset projected outwards. When we can have compassion for those who seem to bother us we are having Self-compassion and that is the way out of hell. As people who Love the Light, we are here to be truly helpful and remember that everything in this world is an opportunity for us to Love ourselves free of any and all delusions and illusions and that is the one thing that everything is for. Let’s not make up stories about what things are for, let’s just accept what they are REALLY for and get on with it. The time is now for waking up! Let’s give all the heavy lifting of figuring out HOW and learn to ALLOW the Higher Holy Spirit Self to guide us. If we focus on our one goal, the Spirit WILL show us the way. The Light of Love within us WILL light the way! It’s much easier than we think. We can learn through joy rather than suffering! Now is OUR time! ANNOUNCEMENTS: Two in-person events next month Early bird special on NOW Spring Clearing Retreat March 20 to 24 – with Lisa Natoli, Corinne Zupko, Jon Mundy, myself and more! Plus, Jon Mundy and I are offering our HOW TO CREATE & LEAD A WORKSHOP training which includes certification to lead my Forgive & Be Free Workshop! March 14 to 20. Register for both and receive an additional discount. Click now for details! Today on my radio show I’ll be sharing about responsibility in relationship. Being able to take responsibility for our feelings is the way out of most people’s experiences of relationship misery. It’s amazing how much gratitude we can have when realize we’ve been doing it to ourselves and we can stop! Last night in Masterful Living, one of the things we were discussing was guilt. Many people feel guilty for a variety of reasons, and that guilt is like a wet, stinky blanket on their life and on their energy field. Let’s get rid of it! Guilt is not really my thing. When I was a kid, my grandmother would often try to make me feel guilty in order to manipulate me, and I learned to throw that off. I developed a Teflon coating for guilt. It still comes up from time to time, and I’ve learned a lot about how to let guilt go. Which would you like to feel — Guilty or Beloved? You’re in charge of your choices, so why choose to feel guilty and ashamed when you could feel Beloved? You may be trying to make people feel guilty and, perhaps, not even be aware of it. When you’re upset, if you feel in ANY WAY that it’s someone else’s fault, and you tell them you’re upset – you’re probably, perhaps unconsciously, trying to blame them and make them feel guilty and ashamed. This will only cause you to feel guilty and ashamed – perhaps unconsciously. Next thing you know, you’re depressed and self-medicating. Yuck – the wet, stinky blanket of despair has landed, self-inflicted. Ugh. If you believe that you have the power to make other people happy, to fix their lives, to rescue them or heal them, and you withhold Love from them, you probably will feel guilty because you might also be punishing them, consciously or unconsciously. However, if you have a secret desire to blame them and shame them for “making you” feel upset, then don’t go talk with them – unless they’re really skilled at being able to recognize you’re exposing your crazy secret desire to blame and shame. Responsibility is the way out. Taking TOTAL ownership of our feelings is the only way to have a truly healing and productive conversation. Remember, the ego loves to pick a fight, to blame and to shame and that will only leave you feeling guilty and ashamed. There’s just no benefit to trying to make others responsible for your upset. Heal that habit, and your life will become more loving, more prosperous and more harmonious! Woo-hoo! TODAY RADIO SHOW: my topic is “Responsibility In Relationship”. You can listen in LIVE on my radio show – click here for details – or you can click here to get the download later at iTunes or Stitcher for Android. All the previous episodes are free at iTunes & Stitcher right now! Transcripts and more are available here: LivingaCourseinMiracles.com You can subscribe to the podcast and get the show every week automatically on your phone, iPod, iPad or computer. Check it out! And if you enjoy the radio show, will you please write a review so more people find the show? The more reviews, the more iTunes and Stitcher show it to people! Thank you! One of the most challenging things I know of is learning to honor other people’s perspectives in relationships. We all see the world differently. What is threatening to one person is inviting to another. What is exciting to this one is boring to that one. We’re all the same, but we don’t see things from the same perspective. Honoring another’s viewpoint, even though we don’t agree with it, is a great skill to have. It makes relationship so much easier and healthier. Some folks are very distrusting, and so they will be offended by an honest gesture of extending Love. That doesn’t mean we should withdraw or give up. It means we must be led and guided by the Spirit as to how. I’ve learned to remember that I can extend Love without saying a word or taking any visible action. I call this “working in the invisible”. I really appreciate that I CAN work in the invisible. It’s easier, faster, and perfect every time. And just the fact that we don’t have to labor in the world – what I call “pushing density,” and that we have a more effective option give me so much relief. Once we realize that we can do our healing and transformation at the level of the mind, and that it affects all of our relationships, it’s a HUGE relief. We can train ourselves to remember that the Higher Holy Spirit Self is reliable. We can begin to truly rely up on Spirit. Of course, it doesn’t work if we’re just trying to manipulate the Universe to give us what we think we want and need. That’s not it. So, when it comes to trying to change someone else’s perspective, it doesn’t work if we’re really just trying to manipulate them. What works is if we’re letting go and letting God. And by “works” I mean, makes a miraculous shift. The miracle comes when we’re willing to have faith in the innate goodness of a person. The miracle is, when we can give up our conditioned view of ourselves and others, this allows us to invest in something new unfolding. It’s not a manipulation, it’s holding the higher view and allowing it to unfold. When we change our perspective about others, then they tend to change. I pray to see with God’s View and to release all perception. Perception isn’t truth. I’d rather see what’s true. I’d rather see each person as the precious Light Beings that they already are – including myself! Who can you shift your perspective about today? Who has a different perspective from yours that you can stop condemning and start loving? Simple changes in our thinking change our whole lives – it’s the only thing that really works! There is a great healing unfolding for us this spring – Spring Clearing Retreat with Jon Mundy, Lisa Natoli, Corinne Zupko and more. March 20 to 24 in the Catskills Mountains of NY. Also, just prior to that Jon and I will reprise our How to Create & Lead A Workshop back to back with the retreat – dates are March 14 to 20. This includes certification to lead my Forgive & Be Free workshop! Woo hoo! SUPER early bird pricing ends Saturday. And we have payment plans! Let me know what you’re interested in – please take my latest survey – it’s only about 1 minute of your time or less! Challenging relationships have been the best tool to help me heal my mind of the things that disturb my peace. Who would’ve thunk it could possibly be true? Certainly, not me. There was a time when I thought relationship challenges would cause me to take my own life. Golly gee. I’ve experienced some extraordinary relationship healing in my life, and I’m so very grateful. For me, there’s been nothing more upsetting to me than the difficulties in my relationships. They have challenged me to the core of my being. I’m so glad I learned that this is precisely what relationships are for. I’ve learned not to walk away from a difficult relationship. I’ve learned to never give up on myself or anyone else. Instead, I’ve come to absolutely know that the thing to do is to give it UP to the Higher Holy Spirit Self for miraculous healing. This method works, but that doesn’t make it easy. Relationship attachments can be like an alien parasite. It makes me think of the terrifying movie, Aliens with Sigourney Weaver (LOVE her!). Remember when the member of the crew was on the operating table, and the alien exploded out of his belly? I went through a period where I was undoing the ego at such a rapid rate that I felt that I was pregnant with an alien baby terrorist that was trying to eat me alive from the inside. It’s that feeling when the third chakra is going through such an intense cleansing. The third chakra, at the solar plexus, is all about our self-perception. When we’re perceiving ourselves as the ego, the small, selfish self, then it’s a constant battle with an inner terrorist. We’ll project it outward into ALL of our relationships and never feel self. When we’re willing to shift identification to the Higher Holy Spirit Self, then we can begin to see clearly what every relationship is for. Then, we can have holy relationships. It’s intensely challenging, but THANK GOD we don’t have to figure out HOW to make it all happen. We only have to allow. This is the time where we’re all learning about Self-Love – Self with a capital “S”. This is the curriculum, and we can delay, we can avoid, but we’ll still have to do the curriculum, eventually. Let’s get to it! Heaven is at hand! The best way to get to the healing we desire in our relationships is really focus on loving yourself IN all of your relationships. Let’s do it! This is why I’m offering free Forgiveness Workshops online right now, so we can do this work together. If you missed the workshop last weekend – please register now, and I’ll let you know about the next one: click here to register for the next Forgive & Be Free Online Video Workshop. You can subscribe to the podcast and get the show every week, automatically, on your phone, iPod, iPad or computer. Check it out! And, if you enjoy the radio show, will you please write a review, so more people find the show? The more reviews, the more iTunes and Stitcher show it to people! Thank you! If you find my Daily Spiritual Espresso and Prayer for Today helpful, won’t you please share at Facebook and click the LIKE button? Also, please like and comment on posts at Facebook. This helps, as Facebook will let more people see it and become inspired too! Thank you! Consider this: Imagine that you’re single and you’d REALLY like to be in a committed intimate partnership with someone you adore and that you feel you’d be SO grateful to spend the rest of your life with. Let’s say that’s the deep desire of your heart. You yearn for that clear connection with a soulmate. And so, to get to that, you decide you’re going to read relationship books until you get there. And you’re going to listen to relationship CD’s. And you’ll watch videos on youtube. But you’re not going to do anything towards actually meeting a potential mate, you’re just going to study up on it. That seems pretty crazy, doesn’t it? Yet, that’s precisely what many people have told me that they’ve done for most of their lives. They are learning about Spirit, but they don’t actually feel like they have an intimate relationship. One of the most common things I hear from people in class with me is they are so grateful they stopped just studying spiritual books and started actually having an active practice and relationship with Spirit. When you have a relationship with someone, a deep intimate relationship, you recognize their voice in a crowd. You know their vibration and you can feel them coming. 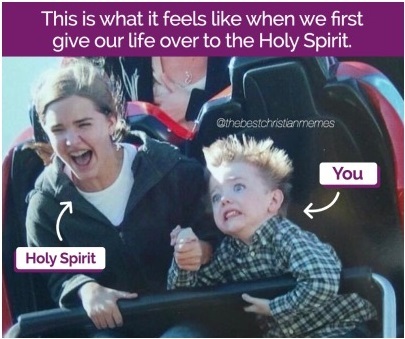 That’s how it is with Spirit when we’re in a committed relationship. My yoke is easy – the commitment is easy. My burden is Light – as in the Light that lighteth up every man, woman and child in this world. That sounds pretty darn good to me! And, I must share that I have found this to be the truth of it. The deeper I go, the greater the commitment, the lighter I feel, the easier it is. A relationship is a relationship. Whether it’s with Spirit or your family. Sometimes it feels like a roller coaster ride. Whether you’re screaming or laughing depends on your perspective. That’s what strengthens a relationship. Every day offers an opportunity. As we all know, relationship abuse can happen on various levels – emotionally, mentally, physically and verbally. Sometimes people are in relationships that are quite abusive and they don’t even realize it because their own sense of themselves is so diminished. Often, it just seems normal. Many times, it even seems deserved. When we’re in a relationship that doesn’t feel supportive and fulfilling, we can give the relationship to the Higher Holy Spirit Self for healing. We can call forth a holy relationship and move out of the abusive ego based relationship. It does take real and focused willingness to break these patterns of abuse. I’ve worked with folks who couldn’t imagine life without their abuser. The connection is so strong and it’s definitely karmic, but that doesn’t mean it can’t be transformed. Therapists might tell you differently, but as a spiritual counselor working with spiritual methods, I’ve seen extraordinary and miraculous healing take place in relationships because one person is willing to hold the belief that a healing can happen. It can be intensely challenging to hold the vision of a healed relationship with no attachments to what it actually will look like. It can take great focus to not fall into victim patterns when it’s been your pattern for a lifetime, but Spirit will carry you there if you’re willing to break with the habits of the past. Having witnessed so many miracles and participated in so many healings, I cannot say enough about how amazing Spirit is. Don’t give up before your miracle. It surely awaits you! You can listen in LIVE on my radio show – click here for details – or you can click here to get the download later at iTunes or Stitcher for Android. All the previous episodes are free at iTunes & Stitcher right now! Transcripts and more are available here: LivingaCourseinMiracles.com. You can subscribe to the podcast and get the show every week automatically on your phone, iPod, iPad or computer. Check it out! And if you enjoy the radio show, will you please write a review so more people find the show? The more reviews, the more iTunes and Stitcher show it to people! Thank you! Jon Mundy and I are offering 3 new minister & teacher training retreats in August. If you’d like to learn about these trainings in inspirational writing, teaching and speaking see below for more info. These retreats are open to anyone who’d like to build their skills AND do some deep spiritual healing of patterns of unworthiness! We can even help you get CEU’s if that’s helpful. Are you interested in stepping up your game and sharing your talents? Do you have self-doubt you’d like to transform so that you can share your gifts and inspire others? Jon Mundy and I are offering minister & teacher training retreats in August. If you’d like to learn about these trainings in inspirational writing, teaching and speaking, click here for more information. These retreats are open to anyone who’d like to build their skills AND do some deep spiritual healing of patterns of unworthiness! Would you like to share your gifts and talents with more authenticity and confidence? Are you ready to stop playing small and stop waiting for the perfect moment to shine your light? Three new trainings co-led by me and Jon Mundy. There are Payment plans! All three consecutive events will be held at Scottsdale Plaza Resort, in Scottsdale Arizona, right next to Phoenix. Click here for more info and registration! Come for 1, 2 or 3 of these professional trainings. Power of Love Ministry is developing a ministerial/teacher training and these are part of the curriculum for that training. We’re an expanding global spiritual community of prayerful people willing to be co-workers with God. We’re waking up together and finding freedom in our hearts. I’m so grateful for this! If you find what I’m sharing helpful, won’t you please LIKE this post and share at facebook and twitter to let others know? Thank you! In the past, I invested A LOT of energy in going over and over and OVER AGAIN the problems in my relationships. When I look back, it’s amazing to me how much of my energy was invested in going around and around the same troubling loop. I was so focused on what was threatening and troubling me that I didn’t realize I was magnifying and multiplying it. Sheesh! No wonder I felt guilt and ashamed. I’ve learned to give ALL relationship issues to the Higher Holy Spirit Self for healing. Sometimes it seems as though people won’t call forth a healing in their relationships because they just wish to invest their energy in the drama. Some people seem to need the drama to feel alive and don’t trust that fully being loving is the kind of aliveness that’s really possible for them. We can heal EVERYTHING. Giving our problems to the Higher Holy Spirit Self for healing is so helpful because we don’t have to figure out how to have a healing, we just call it forth and stand strong in the assurance that it IS occurring. When we practice in this way we bring benefit to all beings. When we have the strength to hold the vision of a healed relationship then we’re placing our faith in God to work it our and that’s a healing of our own doubt and limited beliefs. Relationships are the best tool we have for healing our whole life. Let’s make the most of it and call forth a miraculous healing today, and then remember that we’ve given the problem to Spirit for healing and it’s not our problem anymore! If you’d like to hear more on this topic from A Course in Miracles perspective, click here now to listen to or download my radio show episode: Healing From Relationship Hell. You can also get the transcript there. For a searchable list of all my radio show episodes click here to go to LivingACourseinMiracles.com/radio. What’s the greatest feeling in the world? For me, it’s when I can feel that my experience of Love is true, honest and full-on. When I can feel that flow of unconditional Love, it’s the best. What I notice is that the experience I’m having doesn’t have to be the most perfect looking. The people I’m extending Love to don’t have to be doing anything FOR me. It’s absolutely wonderful when I can LOVE everything just as it is. That’s the BEST! It’s so wonderful when we ALLOW ourselves to simply Love someone without condition, without opinion, without control and manipulation. It’s thrilling to be able to offer a gift of Love and have ZERO attachments, and to feel that gift is fully accepted in the way it was intended. That’s a pure experience of Love connection. One of the things I used to notice all the time was that I would feel either reluctant to express Love, or resistant to receive Love. Many of us have frequent experiences of feeling that Love has strings attached, or that someone is giving us something with conditions. If we truly desire to have healthy relationships and move out of co-dependency then it can feel icky to be in a conditional, giving to get relationship situation. Our true nature is to BE the Love that is available to be expressed and revealed, felt and shared NOW. It can take getting used to, and it’s SO worth it! I invite you to practice noticing when you feel a resistance or reluctance to be in the free flow of Love and to open your awareness to the highest choice that is available to you. This is how we transform the old patterns of history and ancestry and move into the fullest experience of Love that’s available to us NOW. It takes a willingness to have a new experience and not know exactly how it’s going to go NOW. In this way, we learn to trust LOVE itself. We learn how to BE the Loving expression of our Divinity, NOW. Love reboots the circuits and purifies the inner pathways. Gratitude opens the flow of good. Forgiveness opens the flow of prosperity. This year, let’s make the commitment to be willing to have a new experience every day – to cultivate a sense of security that comes from BEING our true selves, rather than being protective and defensive. I’m with you. Let’s do it together. I’m grateful that I can have a new experience of Love and experience a healing. I share the benefits with all beings, so grateful to be One with ALL. That’s greatness! I AM One with the One who Invented Love. My story is a Love story! Would you like to share your gifts and talents with more authenticity and confidence? Ready to stop playing small and waiting for the perfect moment? Three new trainings co-led by me and Jon Mundy. Registration is open now with Early Bird Pricing & Payment plans! If you find what I’m sharing helpful, won’t you please share at facebook and twitter to let others know? Thank you! I’ve experienced some extraordinary relationship healing in my life and I’m so very grateful. For me, there’s been nothing more upsetting to me than the difficulties in my relationships. They have challenged me to the core of my being. I’m so glad that I learned that this is precisely what relationships are for. Relationship attachments can be like an alien parasite. It makes me think of the terrifying movie, Aliens with Sigourney Weaver (LOVE her!). Remember when the member of the crew was on the operating table and the alien exploded out of his belly? I went through a period where I was undoing the ego at such a rapid rate that I felt that I was pregnant with an alien baby terrorist that was trying to eat me alive from the inside. It’s that feeling when the third chakra is going through such an intense cleansing. The third chakra, at the solar plexis, is all about our self-perception. When we’re perceiving ourselves as the ego, the small, selfish self, then it’s a constant battle with an inner terrorist. We’ll project it outward into ALL of our relationships and never feel self. This is the time where we’re all learning about Self-Love – Self with a capital S. This is the curriculum, and we can delay, and we can avoid, but we’ll still have to do the curriculum eventually. Let’s get to it! Heaven is at hand! The best way to get to it is really focus on loving yourself IN all of your relationships. I dedicate February to relationships on my weekly radio show. Many have told me those episodes have really helped them to have a new and healing perspective on their relationships. They are all free for the listening and downloading. Sign up for the podcast and you’ll have easy access to them all! We’re almost there! I’m getting ready to announce three new trainings for those who are interested in professional training for your spiritual expansion. These three events are going to be co-led by Jon Mundy. Registration information is coming early next week! All three consecutive events will be held at The Time Hotel in Nyack, NY, a mere 45 minutes from either midtown Manhattan or Laguardia airport. Click here for more info about The Time Hotel. Come for 1, 2 or 3 of these professional trainings. Power of Love Ministry is developing a ministerial/teacher training and these are part of the curriculum for that training. Registration information is coming soon! If you’d like to hear more on this topic from A Course in Miracles perspective, click here now to listen to or download my radio show episode: Transforming Anger to Harmony. You can also get the transcript there. Yesterday, I had a good long talk with my precious friend Lisa Natoli. We were sharing that we were both getting the same intuitive guidance to slow down and take more time to be with Spirit. We’re both aware that the next steps, the healing, the inspiration and the deep sense of rightness that we are interested in come through the choice to be with the Presence. One thing that I know bothers many people is the concept that there’s not enough time. It does feel like we’re bound by time and space, but if we’re willing, we can break those bonds and open our minds to see the truth of it. We can say that we know that time and space are an illusion, but if we’re bothered by a sense of lack of time, then we don’t REALLY know it. We believe something else is true, and that’s the thing that bothers us. It’s an intellectual concept and we don’t actually know it. I used to be so very bothered by not having enough time. I can tell you that I had a very strong belief that I was wasting time. I believed that I needed to be far more time efficient in order to be more productive and get more done. I finally saw that all of that urgency around getting things done and being productive was to compensate for my belief in myself as being fundamentally wrong and bad. I felt SO bad that I needed to accomplish more to cover it up and compensate. When I was younger I needed a lot more sleep than I do now. I found that when I started to put more energy into meditating, forgiving, letting the past go and being compassionate that my need for sleep sharply decreased. I used to need nine hours a night to feel fully rested. Now, many nights spirit wakes me up after six hours and sometimes less. I rarely set a clock, so Spirit just wakes me when it’s time. I know that I used to need that time for processing things in dream time. It bothered me greatly that I wasted so much time in sleeping. I tried some crazy things to try and reduce the amount of time that I slept each day, but it only ended up in an increase in caffeine intake and ultimately I got sick. I used to have all kinds of schemes to try and be smarter than life. I found they were all ways to learn through experience. Now, I prefer to re-cognize through direct knowing, experiential learning takes a lot of time, energy and resources and it can be quite unpleasant at times. I used to have nightmares and stressful dreams frequently. Now, I cannot recall the last time I had a nightmare and stressful dreams are rare. I’m letting things go. Since I’m carrying less baggage, I don’t get so exhausted and I don’t need as much sleep. I wake up feel refreshed most days and I sleep quite soundly. When I was in ministerial school I was overwhelmed by my experience of lack in the time department. I felt like I was always running to catch up. I truly believed there was never enough time. I felt like I was on a hamster wheel and no matter how fast I spun that wheel, always running, I couldn’t get enough done. One day in contemplation I realized that I had been deluded. Of course I had enough time! I’m an eternal being of Love and Light. How could I not have an enough time? I’m an integral part of the Infinite? From then on the belief in not enough time faded and now, there’s always about 500 hours of things that I could do and would like to have done each day, that don’t get done because I choose to do other things, but NOT because I don’t have enough time. I definitely discovered that the greatest time-saver there is my spiritual practice. The more I practice being loving with myself and others, the more time that I have to invest in living an inspired life. I even began to have experiences that showed me that time could be stretched, shortened and bent in ways that I had intuitively known were possible, but hadn’t experienced before then because of my limited beliefs. Now, I have interesting experiences with time and can feel it’s malleable illusory quality. God will eliminate so many challenges if we’re willing to put our faith in God, in first cause rather than in the world of effects. I have lived for more than a dozen years feeling no longer tortured by a belief in lack of time. I’m so grateful that Spirit showed me the truth that set me free! BTW, I’ve done a number of episodes of my weekly A Course in Miracles weekly Radio Show on the topic of Time, Saving Time, and Maximizing Time that you might find interesting. You can search through the archive for episodes on whatever topic you’re interested in. If you haven’t answered my survey about your interests and you think you might be interested in our teacher trainings and spiritual counselor trainings, please click here now and take 30 seconds to answer my survey. If you’d like to hear more on this topic from A Course in Miracles perspective, click here now to listen to or download my radio show episode: Time and Space Management. You can also get the transcript there. Wouldn’t you rather have your thought be the problem then thinking it’s YOU or THEM? Thoughts aren’t people, they’re just thoughts. How can we really be mad at a thought? Thoughts have no power unless we choose to think them! We have the power to decide not to think the thought that upsets us. And we have the power to decide to let the Higher Holy Spirit Self take the errant thought out of our mind FOREVER. We choose the thoughts we think, whether we are aware of it or not. When we’re willing to shift identification to the Higher Holy Spirit Self, then we can begin to see clearly what every relationship is for. Then, we can have holy relationships. It’s intensely challenging, but THANK GOD we don’t have to figure out HOW to make it all happen. We only have to allow. Now is the time we’re all learning about Self-Love – Self with a capital S. This is the curriculum, and we can delay, we can avoid, but we’ll still have to do the curriculum eventually. Let’s get to it! Heaven is at hand! If you’d like some relationship support – check out my A Course in Miracles radio show – there are SO MANY episodes on relationship! Act now, and you can have them all! I also take relationship questions and offer counseling in my Sacred Circle Spiritual Counseling calls. Try it for a month and ask me any question that you’d like. We all have many mothers. There’s our birth mother and then there can sometimes be several women who help raise us plus grandmothers and aunties who feel like mothers. I have friends who are very maternal and are almost like a surrogate mother to me. There’s Mom and then the Divine Mother. Each Mother has a role to play. Sometimes we get a really great mother and sometimes our mother seems to be lacking. I know for many years I felt that my dear mother felt like a mixed bag to me. It took me a long, long time, to realize how completely perfect she was – for me. For a long time, I was ungrateful, and now I’m wholly grateful. For a long time I blamed my mother for some of my “problems.” Now, I thank her for my opportunities. I’m so grateful for the teachings of A Course in Miracles which, through truly LIVING them, I’ve been able to transform my life, my perspective and, most importantly, my heart. When my mother received a terminal illness diagnosis and was told she had a few months to live, I made the heart commitment that we would have a total healing in our relationship before she made her transition. I made it my top priority and I made it my total responsibility. In self-help programs and in psychological therapy, I was told that I should only take 50% of the responsibility for the quality of my relationships. For me, it was a big shift to go from blaming the other person for ALL of my upset to taking 50% responsibility. Through my spiritual practice, I came to realize that taking 100% responsibility with 0% blame is the way of healing. I did that with my Mom and I experienced a complete healing and transformation of our relationship before she made her transition. I’d felt so much hurt, resentment and anger toward my mother, and a lot of it wasn’t even about her at all. It took me SO long to realize that I felt so GUILTY about being mean and unkind to mother, and I was projecting my guilt onto her and blaming her for that too – I didn’t even know it. I will forever be grateful for the teachings of ACIM which helped me to have faith that the healing would happen. Fortunately, we had all the time we needed. She lived three years after that original diagnosis and about 2.5 years in, I had a total clearing of all the upset from the past. Yes, it was a miraculous and instantaneous experience that was 48 years in the making. It was my commitment that brought it forth. The healing was so complete and so profound it propelled me to be even more dedicated to my healing, and to sharing with others. Truly living A Course in Miracles has allowed me to hand over the resentment and regret that tortured me for decades. Making that shift from ungrateful to grateful in my relationship with my mother completely changed my life and my thinking. In a sense, it was the “making” of me. In the Manual for Teachers, Chapter 4, Development of Trust, it says “It takes great learning to understand that ALL things events, encounters and circumstances are helpful.” It’s a giant breakthrough in awareness when one is willing to discover the Truth of that statement. In my classes I say, Prove God in your life. Prove what’s true about God and you’ll never regret it. When we’re intent on the truth, that which is false easily falls away. I was so completely dedicated to my opinions and yet I was still able to learn that the truth really does set you free. Are you willing to be free? Or do you in some way still blame others for your circumstances? Do you deny the learning in order to hold onto the judgment and then force yourself to repeat the lessons over and over? I did that so frequently. If you’d like to give yourself a new relationship with your mother(s), you can. It’s easier than you think, but only if you’re truly willing to be loving – to be able to love without needing to get ANYTHING in return. Love is not a “give to get” experience, it’s your true nature revealed. Give the Higher Holy Spirit Self the heavy lifting – let Spirit undo all the consequences of your “wrong decisions” of the past. BTW, I have done a couple of episodes about mothers on my weekly A Course in Miracles weekly Radio Show and you can search through the archive for episodes on whatever topic you’re interested in – there are so many on relationship and forgiveness. I made this VIDEO a few years ago about my Mother’s Day Makeover and you can click below to watch it now. And please pray with me! Prayer works! Joining together in prayer for our healing, for the active practice of joining with Spirit, and allowing my healing is precisely why every day I write inspiration and record a prayer to go with it. You can join me in cultivating the willingness that raises us ALL up so we can be truly helpful in this world. If you haven’t answered my survey about your interests, please click here now and take 30 seconds to answer my survey. If you find what I’m sharing, helpful won’t you please share at facebook and twitter to let others know? Thank you! In lesson 135 of A Course in Miracles it tells us that “a healed mind does not plan.” This can be quite confusing for many people. How do we live without plans? As I write this, I’m in Poland and later today I travel to Germany and then tomorrow I fly back to New York and travel to New Jersey to stay with my brother. As soon as I arrive in New Jersey I have a class to teach. On Wednesday, I have two classes. And much more. Obviously, I have many plans. It’s about not having attachments. The key to the end of all suffering is to release all the mental attachments we have to how we believe things should be and how we believe they should not be. The shoulds get in the way. They are designed to get in the way of our happiness. I make so many plans, and I find the constant release of attachment when plans must change to be a healing opportunity for my mind. We may not realize it, but we have so many plans. Many times they are hidden, and many times they are the cause of a constant stream of upsets, big and small. For instance, sometimes I might be staying with my brother’s family and have a plan about some fresh raspberries I’ll have for breakfast. And when I go to eat them, someone has beat me to it. I can be upset about not having what I’d planned, which shows my attachment, or I can release my plan and discover something new is best for me now. When I bought the raspberries that felt good to me, or maybe it was just my ego. I don’t really know what anything is for (ACIM Lesson 25). What I do know is that any day I can be peaceful is a good day. Any day I can release an attachment is a good day. Any day I can feel my heart opening and my mind liberating is a very good day! I’d rather have a good day than have raspberries! I used to get upset every day, many times a day. The release of my plans has been such a great gift to me. Are you willing to watch your mind for your attachment to your plans? Are you willing to Love yourself so much that you’d rather be peaceful than cling to your plan? I cannot say enough about how beneficial it is to release the plans, to listen to the guidance, to practice a new way of living and being. Everyone in your life will benefit! TODAY: Early Bird Special Expires today! My Spiritual Counseling Training Intensive is not just a professional training, if you read the things people have said about how their lives change as a result, you will see that this is an opportunity for deep personal healing. You can combine the Stop Playing Small Retreat with the Spiritual Counseling Training Intensive and get a discount! Plus we have payment plans and early bird special is on now! Real change, lasting transformation and healing is available. If you’re willing, let’s do it together! Changing our lives and healing our minds is so much easier when we are the two or more gathered together for the same purpose. To this end, I’m offering another Spiritual Counseling Training Intensive in May and my Stop Playing Small retreat right before, at the end of April. I haven’t offered a Stop Playing Small Retreat in for a couple of years, so if this interests you, please join! We practice and learn Self-Love in Spiritual Community and it’s a powerful healing and life-changing experience. We can accomplish a lot in a short time when we come together focused on transformation! If you find what I’m sharing helpful, won’t you please share at facebook and twitter to let’s other know? Thank you! So many people have told me that they believed that there was darkness in them. Many have feared what that darkness could do and felt great regret over what they believe their “dark side” had done. If you believe darkness is REAL it will seem real to you. If you believe the darkness has POWER you will fear it. If you believe the darkness is IN you, you will fear yourself and feel unworthy of good. If I could have everyone believe just one thing it would be that darkness is not real, it has no power, and it is not in anyone. The appearance of darkness having power only comes from our belief in it. When we withdraw our belief in it the illusion of power in darkness fades. All of the great avatars and teachers have come to teach one thing – forgive and free yourself from the illusion of darkness. Forgive and you will see that you and everyone are pure light. If each person could simply forgive themselves we would experience heaven on earth. That self-forgiveness is ALL that it takes. Choosing to believe the meaning we’ve made of things is an invitation to the darkness. Invite a belief in darkness and you enter into a world of fear. Release all judgment and step into the light that you already are. Step into the light of your own being and you will see that ALL are perfect light. The Light of God never fails. As the sun is always shining on a rainy day or in the darkest night, when we shift our perspective we can see that the light is constant. When we choose to believe in darkness we are choosing to believe the clouds have more power than the sun. Have you ever turned on the light in a dark room and felt that the darkness could prevent the light from turning on? No. You haven’t, because that is impossible. Put your faith, your belief, and your trust in the Light of God that already is your true nature. If you’re not willing to see it in everyone, you can’t see it in yourself and will always doubt your light. The shadow a judgment casts is long, but it is not the truth – it is a thought. It has only the power that you give it by believing in it. When you release the judgments, the wisdom of choosing Love reveals itself and lifts you above the fear and doubt. You can only know this to be true by practicing it. Every day people ask me how to release fear. Give up your judgments and you will be free of fear. Your attack thoughts are the cause of fear, and nothing else can put terror in your heart – only your willingness to value attack. Give up your judgments to save yourself. You must willingly choose to give up protecting the small selfish self of the ego personality in order to gain the knowledge of your true Higher Holy Spirit Self. There is no other way. You are always free to choose again. It is ALWAYS there for you when you will choose it. Even if you’ve made your bed in hell. Even if you don’t believe. Your little willingness to choose Love is turning point. Your willingness to be consistent builds momentum. Begin to notice when you have a desire to feel upset and you feed it. We are an expanding global spiritual community of prayerful people willing to be co-workers with God. To this end, I’m offering another Spiritual Counseling Training Intensive in May and my Stop Playing Small retreat right before, at the end of April. (If you can’t make this Counseling Training in May, there will be one in October.) We practice and learn Self-Love in Spiritual Community and it’s a powerful healing experience. It’s a living, loving, beautiful expression of Spirit’s Love. If you feel that you’ve been playing small in any way, I’d love to support you in breaking free of that. If you’re feeling called to do this work with me, please trust that and allow Spirit to provide what is needed so that you can answer the call you’re feeling. We can do this together! We’re waking up together and finding freedom in our hearts. I’m so grateful for this! What’s the greatest feeling in the world? For me, it’s when I can feel that my experience of Love is true, honest and full-on. That’s what I call, being in the flow of Love. It’s so wonderful when we ALLOW ourselves to simply Love someone without condition, without opinion, without control and manipulation. It’s thrilling to be able to share a gift of Love and have ZERO attachments, and to feel that gift is fully accepted in the way it was intended. When someone is open to receiving the Love we share – that’s the best! That’s a pure experience of Love connection. One of the MOST distressing thoughts we have in our human experience is the thought of being separated from the people we Love – and we often do it to ourselves. Because people don’t do what we wish and think they should do, we think that someone doesn’t Love us and therefore we need to walk away from them, cut them out of our life, and end the relationships. Ugh. This kind of thinking causes much distress. And it’s so common. It’s all part of the ego theme and pattern of separation from Love showing up in our mind and then in our relationships. If we believe it’s real, we start to see separation and lack all over the place. Many people ask me about how to know when it’s time to end a relationship. This is something that comes up a lot around the holiday time of year. ALL of our relationships are eternal because we are eternal beings. And, because we’re One with everyone, there’s no way to really end them. That would only be something that we could experience in our identification with a false, separate self. Our relationships don’t have an end, and in truth, they don’t have a beginning. We are One, together, eternally. Given these basic facts, trying to end a relationship or even worrying about the end of a relationship, isn’t helpful or productive. Instead, we focus our mental and emotional energy on simply being loving. We give the management of our relationships to the Higher Holy Spirit Self and look for the loving choices. This is what works and heals. There are times when our relationships seem to ebb. The tide seems to go out. Like they say, “people are in our life for a season or a reason.” Instead of grasping, we can allow the ebb and flow of the appearance and hold in our heart that the ideal is unfolding and making itself known. We can think we know what the ideal is, but if we’re not in Joy, then we don’t know, and we’re imagining something less than perfect. It’s not so easy to give the Higher Holy Spirit Self control of our relationships when we cling to believing we know how things should be. They may shift and change in ways that the ego does not like at all. And in this we can have a HUGE healing. All healing is welcome. I am so grateful I can choose healing. I am so grateful I can give the heavy lifting of figuring out HOW to make it happen to the Higher Holy Spirit Self. I’m so grateful I can allow the healing and set myself free! It’s extraordinary how simple the most helpful tools can be. Prayer is a power tool. Asking for assistance is different than a prayer. If you’re interested in learning more about what I share about prayer, you can check out my Prayer Power class that starts on Monday! Click here now to learn more now. TODAY RADIO SHOW: February is relationship month on my radio show and today my topic is When You Fear Losing A Relationship. I’m enjoying myself in San Francisco at the A Course in Miracles conference. It’s such a blessing to get together with so many people I know and enjoy and to be able to meet people for the very first time. We’re such a harmonious group of people and I value that greatly. I found it interesting that seven years ago I had a desire and a goal to be one of the main speakers at this conference and to speak to the whole group rather than in a breakout session. This year, I was told I would be speaking to the whole group. When I got the news, I noticed that I was glad to have that opportunity – but only because I really wish to share the message that Spirit gives me and to hold the intention to speak so clearly that everyone in the room would have a healing. I noticed that it really didn’t matter to me in an egotistical way – big room, small room, it truly didn’t matter at all. My aspiration is to be truly helpful and to support as many people as I can, but how many people show up, how many I’m able to reach – these things are not up to me. Spirit has that job and I’ve let Spirit keep it. It’s wonderful to be able to experience life with less and less attachment. In my classes we set goals, intentions and aspirations, and we practice holding them strongly, but without attachment so that we can be in Peace and Joy with our goals, and have no fear or worry. I’m amazed at how attachments cause such intense suffering. Needing, wanting, craving are the way of the ego. And, it’s breathtaking how much healing we can have, and so quickly, when we’re willing to work at the level of the mind to give up the attachments. It requires willingness and that’s why I focus on the ways to cultivate that willingness. If you find what I’m sharing is helpful won’t you please share at facebook and twitter to let’s other know? Thank you! One of the most frequent questions I get is about how to end a relationship. Understandably, people would like to end their relationships in so many ways: easily, peacefully, kindly, quickly, etc. We’ve all had the feeling that we’d like to end a relationship. We’re done and we’d like to move on and not have to deal with it anymore. Enough. Sometimes its a feeling that we’d like to get away from someone, and sometimes it’s a feeling of completion. How can we successfully end a relationship when we’re all eternally one with each other? How can we REALLY end a relationship under these conditions? It’s a valuable question to ask ourselves and contemplate. Sometimes we feel overwhelmed about how we’re ever going to be successful at getting out of a relationship and having it be loving. There is a way. It does require willingness. When we end one relationship badly, it just brings more of the same. I know a lot about that. Let’s put an end to this kind of pain, since we can. Let’s actually do it. Knowing HOW to handle the end of a relationship is so valuable and that’s why I’m going to be sharing about it on my radio show today! TODAY RADIO SHOW: February is relationship month on my radio show and today my topic is Ending A Relationship. If you’re finding what I’m sharing to be helpful, won’t you please share at facebook and twitter to let others know? Thank you! President Lincoln & Rev. Dr. Martin Luther King, Jr.
One of my greatest teachers has been Rev. Dr. Martin Luther King, Jr. I find his teachings so uplifting and inspiring. I encourage you, if you ever fear afraid or downhearted, turn to the mighty Reverend King. He was a powerful preacher and teacher. The master pastor! On this President’s Day I’m reflecting on current events and past. In the United States there’s a great deal of information coming forward that a foreign government intent on creating chaos in our country has made tremendous efforts to divide us by playing on our fears, opinions, judgments and fantasies. Divide and conquer seems to be a strategy that’s unfolding all over the place – but we know better. Spirit is leading us to see the fruitlessness of divisiveness. We are on a trajectory to release all these old fear-based, grabby, greedy, ancient patterns of attack and defend. What I see in all of this is that the darkness IS being brought to the light. And that reminds me of a man many believe was our greatest president, who helped the American people rise to the light in our darkest days, Abraham Lincoln. I have been deeply moved by Rev. Martin Luther King, Jr.’s telling of this story of Lincoln’s exceptional leadership and the power of redemption. On this President’s Day, let us celebrate our ability to navigate the most difficult of times and bring ourselves to the higher ground through extending Love and compassion! Because if you hate your enemies, you have no way to redeem and to transform your enemies. But if you love your enemies, you will discover that at the very root of love is the power of redemption. You just keep loving people and keep loving them, even though they’re mistreating you. Here’s the person who is a neighbor, and this person is doing something wrong to you and all of that. Just keep being friendly to that person. Keep loving them. Don’t do anything to embarrass them. Just keep loving them, and they can’t stand it too long. Oh, they react in many ways in the beginning. They react with bitterness because they’re mad because you love them like that. They react with guilt feelings, and sometimes they’ll hate you a little more at that transition period, but just keep loving them. And by the power of your love they will break down under the load. That’s love, you see. It is redemptive, and this is why Jesus says love. There’s something about love that builds up and is creative. There is something about hate that tears down and is destructive. So love your enemies. I think of one of the best examples of this. We all remember the great president of this United States, Abraham Lincoln—these United States rather. You remember when Abraham Lincoln was running for president of the United States, there was a man who ran all around the country talking about Lincoln. He said a lot of bad things about Lincoln, a lot of unkind things. And sometimes he would get to the point that he would even talk about his looks, saying, ‘You don’t want a tall, lanky, ignorant man like this as the president of the United States.’ He went on and on and on and went around with that type of attitude and wrote about it. Finally, one day Abraham Lincoln was elected president of the United States. And if you read the great biography of Lincoln, if you read the great works about him, you will discover that as every president comes to the point, he came to the point of having to choose a Cabinet. Mr. Stanton did become Secretary of War, and a few months later, Abraham Lincoln was assassinated. And if you go to Washington, you will discover that one of the greatest words or statements ever made by, about Abraham Lincoln was made about this man Stanton. And as Abraham Lincoln came to the end of his life, Stanton stood up and said: ‘Now he belongs to the ages.’ And he made a beautiful statement concerning the character and the stature of this man. If Abraham Lincoln had hated Stanton, if Abraham Lincoln had answered everything Stanton said, Abraham Lincoln would have not transformed and redeemed Stanton. Stanton would have gone to his grave hating Lincoln, and Lincoln would have gone to his grave hating Stanton. But through the power of love Abraham Lincoln was able to redeem Stanton. I invite you to consider this story and Dr. King’s advice to us. Who can you change your mind about and redeem today? Are you willing? Let us bring the darkness to the light. This is our spiritual responsibility. May truth prevail on earth! Posted in Daily Prayer, Healing, Inspiration, Peace, Relationships | Comments Off on President Lincoln & Rev. Dr. Martin Luther King, Jr. Yesterday, I was at a yoga class and when we were on a break from the class, I was talking with a couple of friends and I put my arm around one of them, and hugged her gently while we continued to talk. A simple gesture of loving friendship. I had been guided to do it – Spirit definitely gave me the nudge. And she said “thank you,” with real appreciation. I knew it was a healing moment. A Love extending moment. I’m so glad I listened. Isn’t it interesting how much power there is in human touch? I can so easily hurt or heal with my touch. One of the most obvious ways to practice nonviolence is to refrain from any act of physical violence. The most powerful way to practice nonviolence is to be loving. Often I can let someone know that I love them by a simple touch and it means a lot. In my family we hug and kiss goodnight, and it’s part of our loving bed time rituals. I certainly don’t share a loving touch with people I feel uncomfortable with or hostile toward. Have you ever had a hug from someone who seemed like they were trying to take something from you? Or where it felt totally fake? I have. A loving hand on the shoulder, a hug, a pat on the back–these small gestures can let people know I genuinely care. When words are too much or too little, a gentle touch can be so healing. You can be the touch of an angel. Knowing that LOVE is the healer, I make a commitment to show the people I love how much I care by extending my loving touch when it feels appropriate – I don’t need to force it – I follow my heart. Let my hand be the one that extends the Love that heals. As I become aware of every opportunity to express Love, my constant spiritual practice widens and deepens. If you’re finding what I’m sharing to be helpful won’t you please share at facebook and twitter to let others know? Thank you! Many years ago, during the month of February, in honor of Valentine’s Day, I sat for hours in contemplative meditation about Love. It came to me so clearly that my primary relationship is with the Infinite Presence. My beloved is THE Beloved, regardless of what other relationships I might have. On that fine Valentine’s Day gone by, as I continued my sittings in contemplative meditation about the nature of Love, what I came to feel was that the Beloved loves me with an infinite capacityto love. My Beloved loves me through everyone and everything, that’s how much my Beloved loves me. What I awoke to is that I want to be THAT Lover’s lover. I choose to say with strength and Clarity that I AM devoted to the Lover who loves with no beginning and no end. The Beloved holds nothing against me and cannot do enough for me. Everywhere I go, there my lover is, rejoicing in me, making my way joyous. Miraculously, with this realization of being adored by the Divine, I’ve been able to walk (more and more every day), with the sense that the Beloved is with me always. This soulful realization has led me to be more loving, more kind to everyone I meet – knowing that they are an aspect of my Beloved, the source of all Love. This realization has led me to be more receptive to the good that my Beloved is always trying to express for me and around me. This is where the devotion is for me. My Beloved cannot help but give to me, and I am receptive to it or it passes me by. Because I feel so well loved it is easier for me to be more patient, kind, generous, and more like my Beloved. I have finally learned how to walk in the awareness that I give only to my Beloved and it is only my Beloved who gives to me – no matter what it looks like or who is standing in front of me. Always, it is my Beloved. I am in love with The One who invented Love and The One who invented Love is in love with me ~ and ever shall it be so. Since All is One, I know that you too are the Beloved of the Beloved – and ever shall it be so! Years ago I realized that there was a wonderful opportunity to shift my life in a way that would really bring more Love into my experience. I decided to BE the love of my life instead of looking outside myself to someone else. The more I’ve lived AS the love of my life, I’ve found that it’s naturally easier for me to be more loving with others, and that brings more Love in my life. When we love ourselves, if other people behave in ways that are unloving, it bothers us less and less. We can see their behavior as the cry for Love that it is and we can respond with compassion. When we love ourselves, we can have more compassion for others, which means we can extend Love to them, rather than take things personally. That saves a HUGE amount of time, and energy that we formerly invested in being upset. No longer investing in being upset is one of the great acts of Self-Love. Compassion is loving understanding. Being able to respond with compassion brings more Love into our experience too. In this way, we are more and more in the flow of Love and staying there. There’s no need to leave. The habits of criticizing and attacking fall away and are replaced with genuine loving kindness and a lightness of being takes over. No matter how entrenched we are in feeling alone, unlovable, unworthy, or bad, we can turn it around very quickly when we let Spirit show us how. This is one of the most valuable things we can learn and that’s why it’s a focus of my classes. We can easily be much more happy when we’re wiling to change our minds. The power of decision is ours. We can decide to BE the love of our life and let Spirit show us how. With Valentine’s Day being tomorrow, it’s perfect timing to make this powerful shift! TODAY RADIO SHOW: February is relationship month on my radio show and today my topic is The Love of Your Life. You can listen in LIVE on my radio show – click here for details – or you can click here to get the download later at iTunes or Stitcher for Android. All the previous episodes are free at iTunes & Stitcher right now! Transcripts and more are available here: LivingaCourseinMiracles.com You can subscribe to the podcast and get the show every week automatically on your phone, iPod, iPad or computer. Check it out! And if you enjoy the radio show, will you please write a review so more people find the show? The more reviews, the more iTunes and Stitcher show it to people! Thank you! I see it happen all the time with people who are in class with me. They naturally start to be more prosperous. I feel it’s valuable to understand that Prosperity is so much more than just having a sense of greater financial abundance. That’s a small part of what Prosperity is. When we don’t understand what Prosperity really is, it’s no wonder we don’t understand how to activate it. Prosperity is a spiritual quality that’s part of our true identity. It’s live-streaming all of the time and available for us to express. Where Jesus said, “seek ye first the kingdom of heaven, and all else will be added unto you,” the all else is the full awareness of the spiritual qualities such as Prosperity, Love, Joy, Freedom, Wisdom, Harmony, Abundance, Clarity, Beauty, Wholeness and more. Prosperity is a sense of well-being that comes from feeling spiritually connected. Prosperity is a good night’s sleep and a healthy digestive system. Prosperity is knowing that you have plenty and so you don’t need to hoard. What I was amazed to discover for myself is that when I truly dedicated myself to forgiving EVERYTHING, then I began to have this great sense of well-being. I began to feel that I would always have enough for what I needed. Peace came over me. Prosperity IS Peace. Peace IS Love. All of the qualities of God are available in our awareness when we are releasing the blocks to Love through an active practice of forgiveness. On our own, we can get lazy. I see it all the time. Many times, in Masterful Living people resist doing the forgiveness letters. I get it. Many are willing to work very hard to get the money to go on a trip to try to bring more healing in their life. People will put a lot of effort into intellectual pursuits to strengthen their spirituality and only end up cluttering their mind and feeling confused. Yet, doing the forgiveness that actually works is often something people put off to another day. That’s why in Masterful Living we help and inspire each other to do the work that actually brings the healing. It gets activated when we Love ourselves enough to do the forgiveness, and all of the practices of actually being loving. It works! We’re in it together in my Masterful Living class – if you’d like that kind of support – come join us! Today is the last day! We’re doing such amazing work this year in Masterful Living, and we have payment plans and even some partial scholarships. If you have ANY interest, please click here to set up an exploratory call to learn more about Masterful Living! These exploratory calls are my gift to you! You’ll get clarity about what’s best for you, and they’re done by spiritual counselors, not sales people. I don’t have any sales people, because your intuition is your guide! If you’d like the support of a simple program that’s proven to work, and a community of beautiful, committed, like-minded souls from all over the world, then don’t hesitate to join us in Masterful Living 2018 – click here to discover what awaits you! until TODAY, Monday Feb 12 only! We’re doing the deep work and the healing is revealing itself in our lives! If you’d like to join me in my year-long Masterful Living Course 2018 then please click here to learn more now.